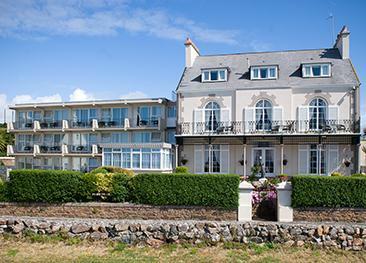 The Beachcombers is a very pleasant hotel, perfect for enjoying the countryside as well as the beach. 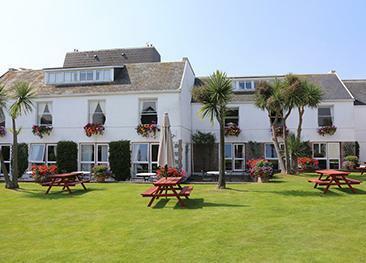 The hotel’s rural setting provides easy access to the local Green Lanes and to the Royal Bay of Grouville just across the road. The Beachcombers has an elegant boutique-style feel with an inviting modern lounge and public areas. Back from a day exploring, relaxing on the beach or shopping in town, there is plenty to enjoy on-site: a large garden with a heated swimming pool, sun terrace and tennis court. The hotel features ground floor double or twin rooms, three single rooms and 12 family rooms. All guest rooms are en-suite and are equipped with tea and coffee tray, satellite television and direct dial telephone. The restaurant offers English and French cuisine with a daily changing menu. The hotel's bar serves drinks, snacks and light meals throughout the day. A large garden, an outdoor heated swimming pool and sun terrace, and a tennis court are available for guests to enjoy. The Beachcombers is accessible although some steps lead to the restaurant and to the bar. There are a few ground floor rooms but no disabled rooms as such. The Beachcombers is situated in Grouville, in the south eastern part of the island. Oysters are cultivated on the long sandy beach and fields of Jersey Royal potatoes surround the hotel. The area is also peppered with historical landmarks like the iconic Mont Orgueil Castle. The hotel is clean, comfortable, and competitively priced. The staff are friendly, welcoming, and helpful. Staying at The Beachcombers suits my needs, and I will return. Everything went smoothly, a few queries were dealt with quickly. Good location close to Gorey with clean, modern, comfortable accommodation and freindly, efficient staff. The dining room was pleasant with a good choice for breakfast.The pool and garden area was lovely to relax in.Would definitely recommend this hotel. Extremely good value. Definitely recommend. Very friendly, lovely staff, comfortable rooms. Hotel service very good.Heating poor in public areas. Hotel not near golf course or sea as implied in advertisment. Excellent hotel, lovely location with extremely helpful, efficient and friendly staff. Very good standard of food but let down slightly by offering identical dinner menu on Monday, Tuesday and Wednesday. Would have been 5 stars if not for menu replication. Nice Hotel, Staff could not be faulted, made to feel at home.